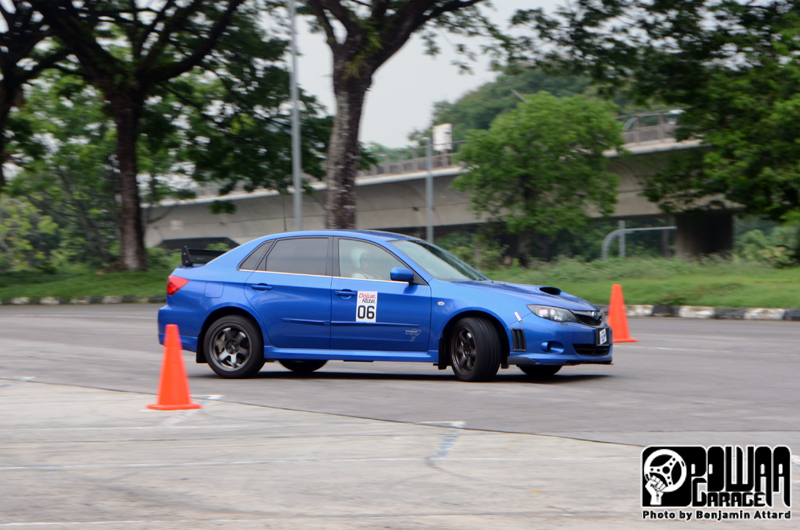 A few weeks back, I wrote about how local garages and organisations were taking on the role of keeping motorsports alive in Singapore in their own hands. 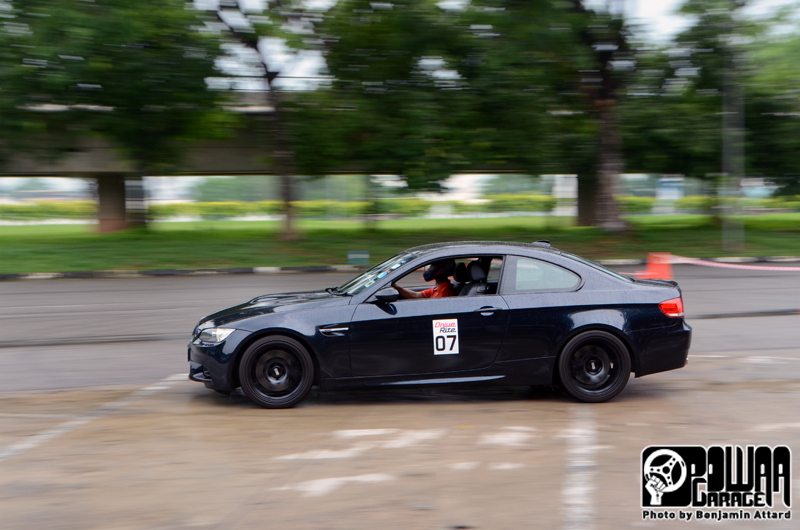 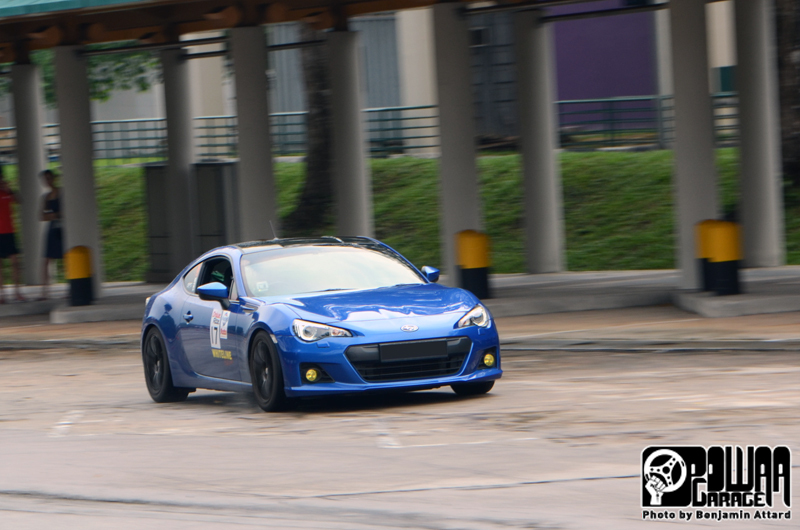 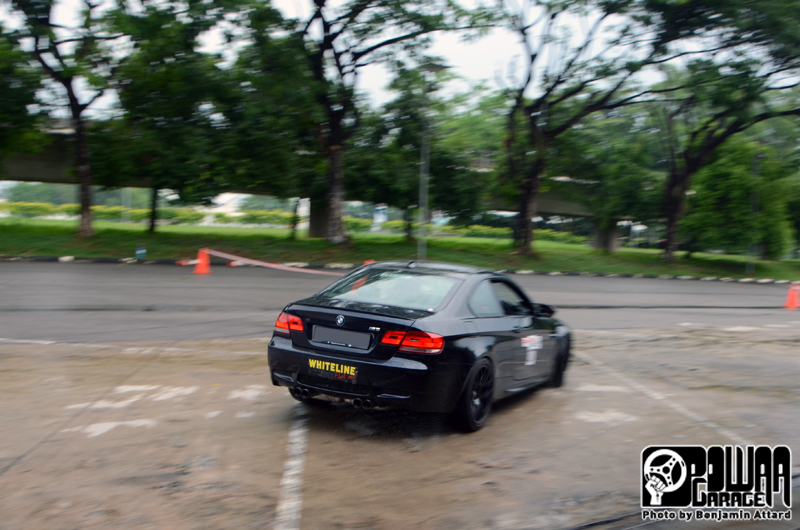 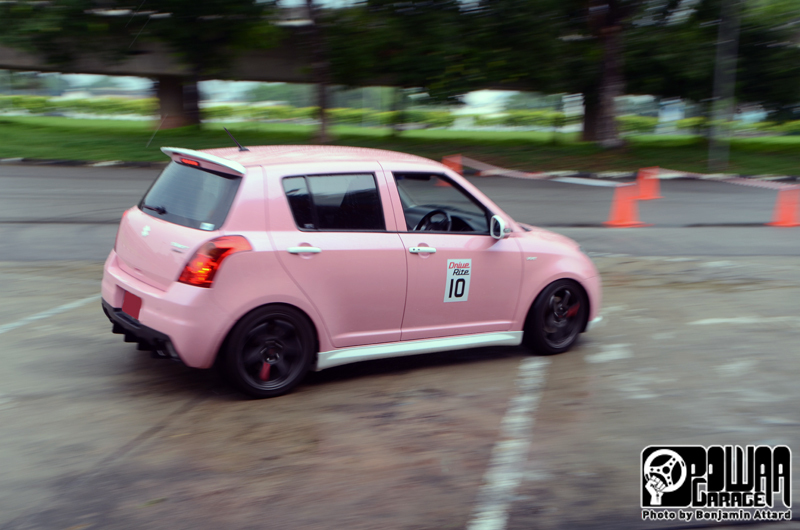 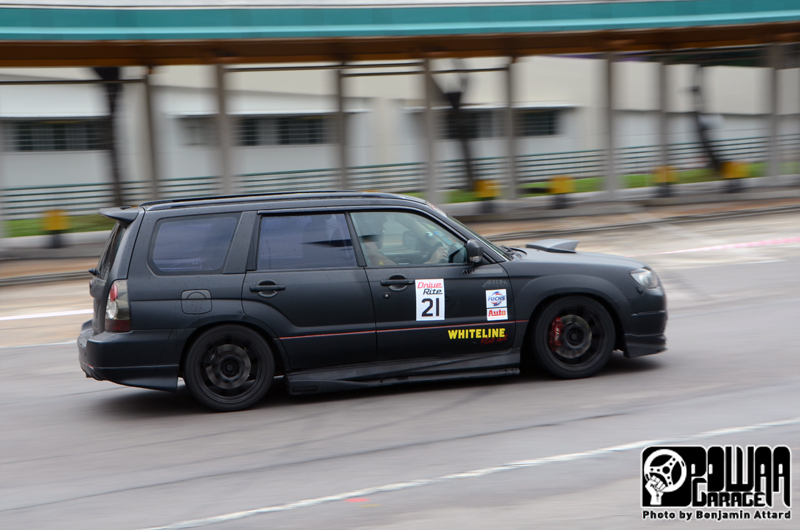 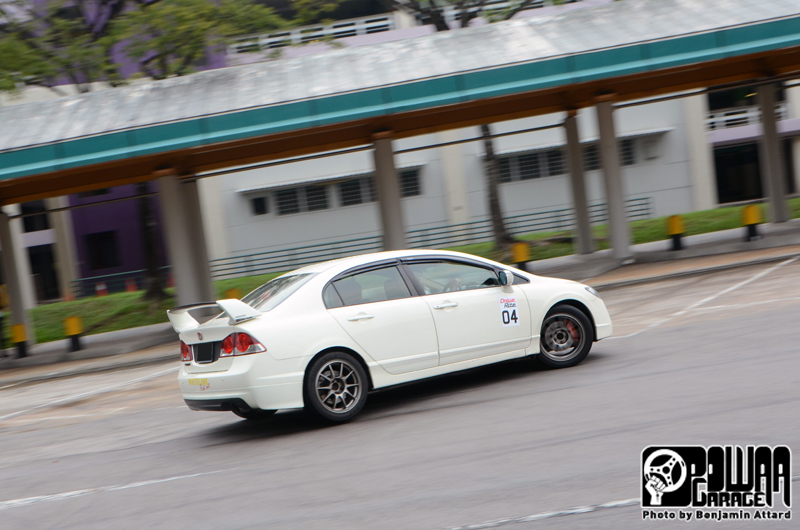 A few weeks after LMS Motorsports' event, DriveRite joined the group of the local "motorsports saviours" with their Gymkhana + Auto-X Day, with the support of FUCHS Lubricants Singapore, MotorVac by Bynergy Asia, Whiteline (SP Line Trading) and Wolf's Chemicals Singapore. 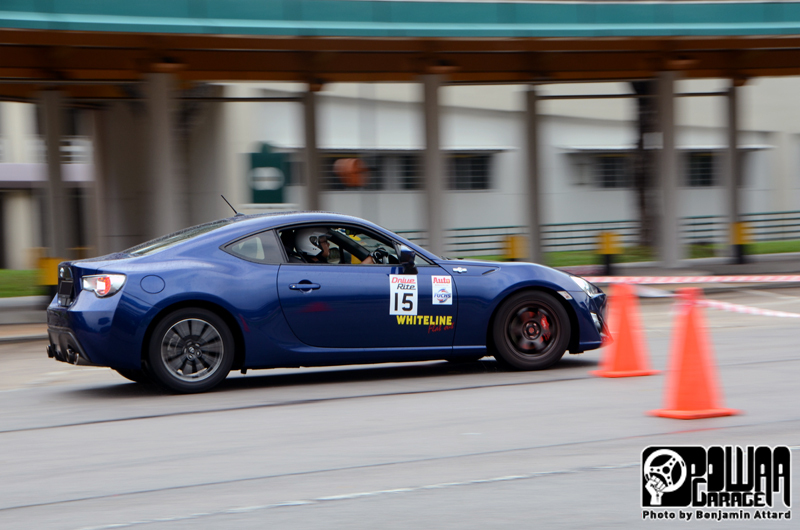 Grown out of the SAFRA Motor Sports Club, DriveRite has for mission to bring car education, courteous and safe motoring, and bringing affordable motorsports to the masses. 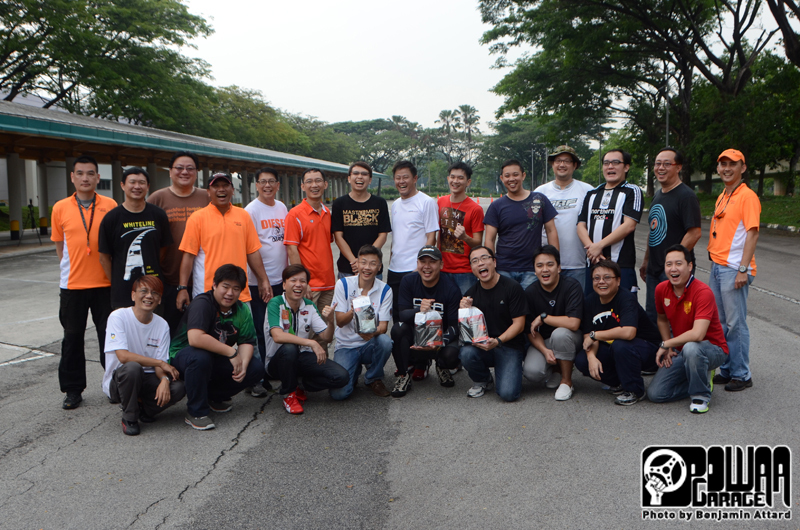 With these goals in mind, DriveRite appealed to both new and experienced motorheads for a fun day at Kranji's Turf Club coach bay. 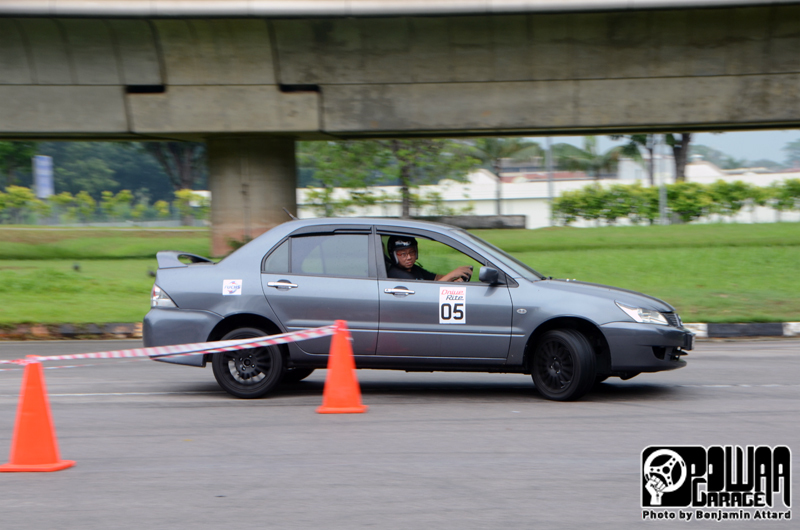 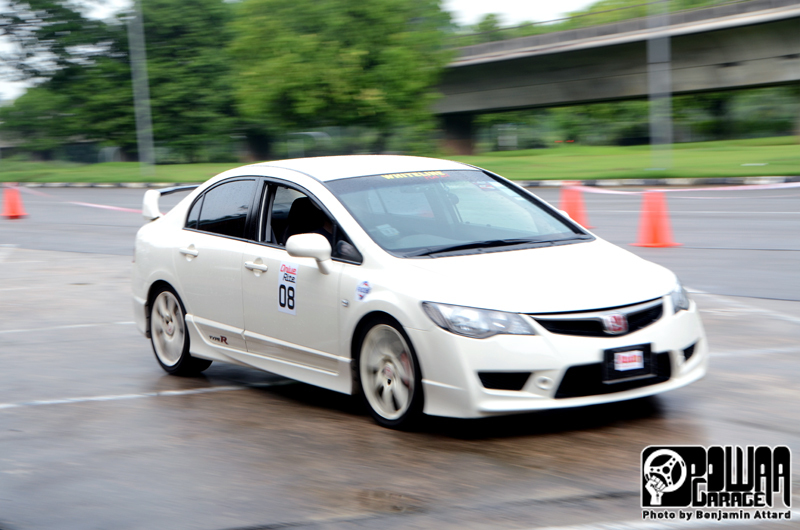 The reach out to new drivers was successful, and 10 out of the 22 participants were having their first try at autocross and gymkhana. 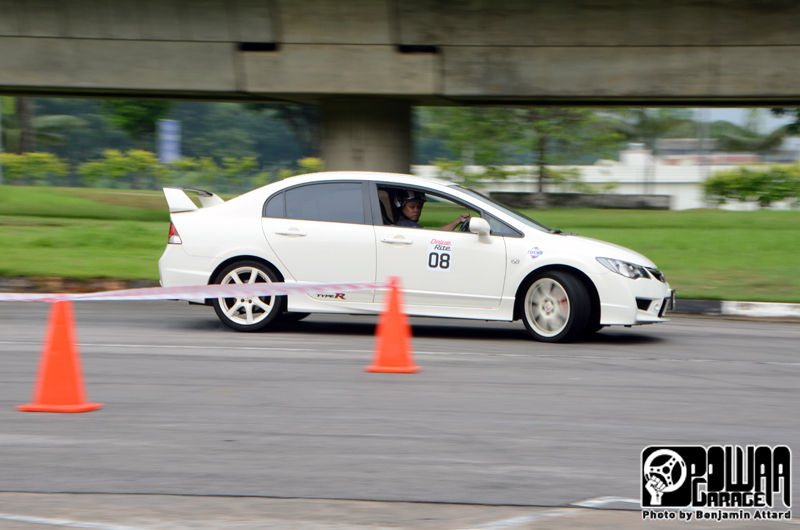 DriveRite kept things interesting during the day as they had not one, but three track layouts for the day, allowing the participants to work on a variety of different skills, and experience again and again one of the biggest hurdle of autocross and gymkhana: remembering the track layout. 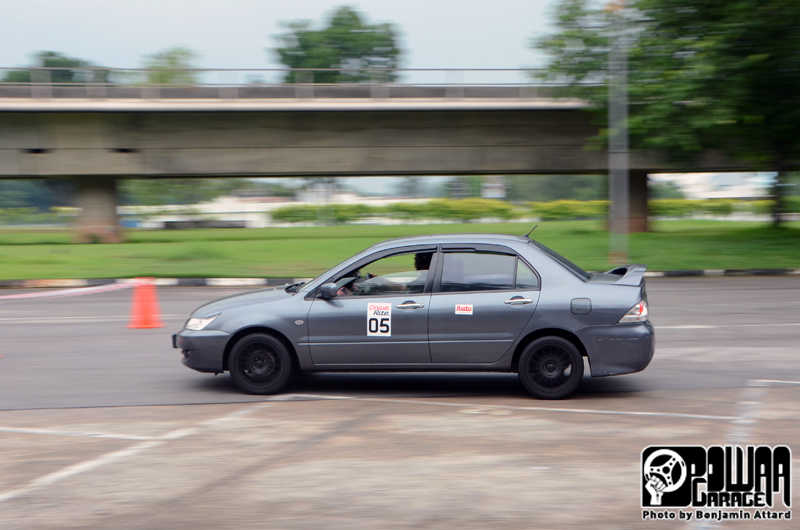 While there was, of course, a competition aspect to the event, to keep the competitive drivers on edge, DriveRite encouraged the drivers to stay safe without pushing themselves too hard, and most chose to fight against themselves and the clock. 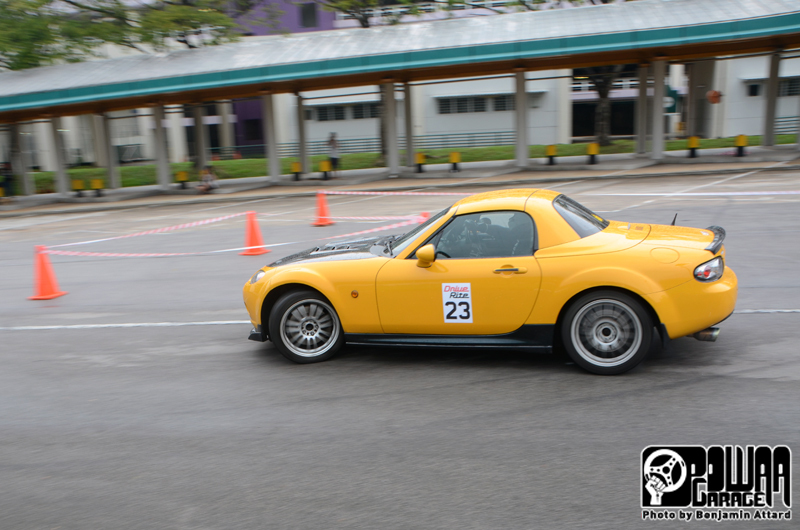 To keep track of their progress, DriveRite had the good idea to implement a Report Card, which was filled in real time by the judges after each round. 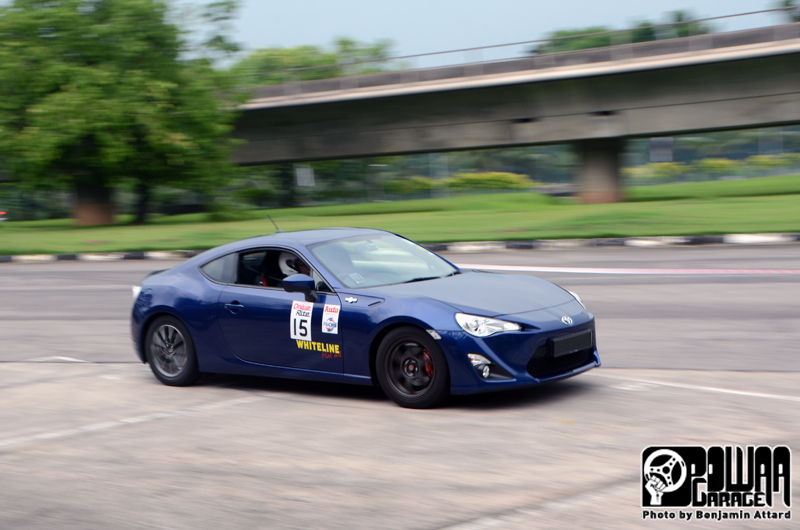 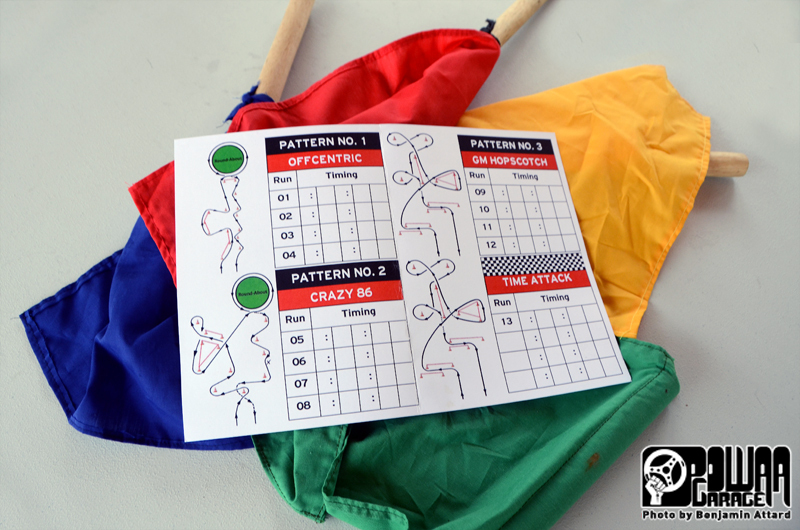 With the help of the Report Card, the drivers were given the chance to track down their progress and improvements as they tried different approaches and strategies to tackle the 12 rounds around the 3 different layouts. 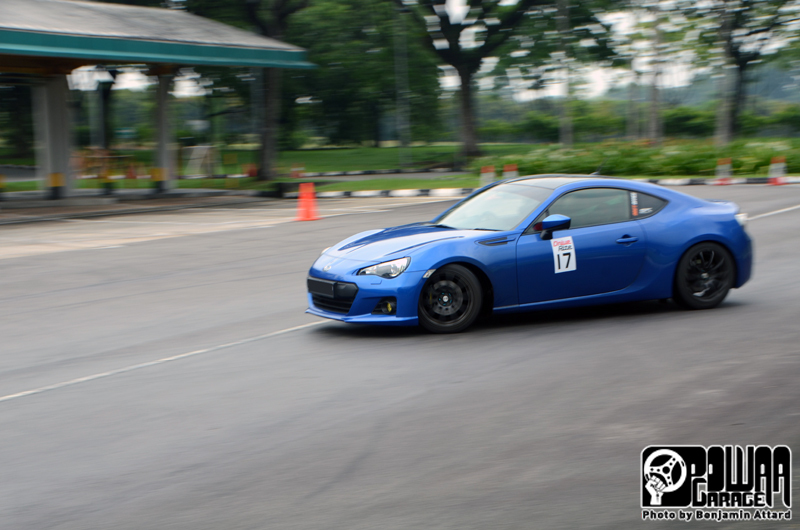 The day was scheduled to close with one final stage: a time attack with its own unique track layout. 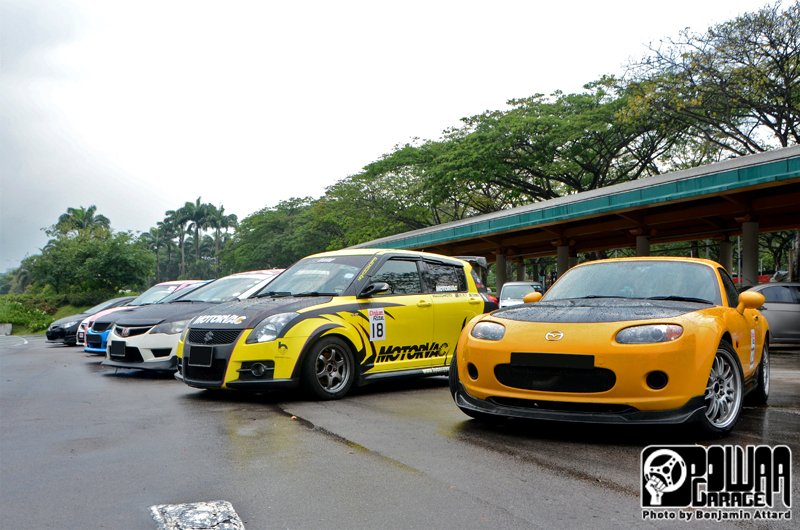 Sadly, the weather wanted to have a go at the tracks too, and a heavy downpour called for an extended lunch break. 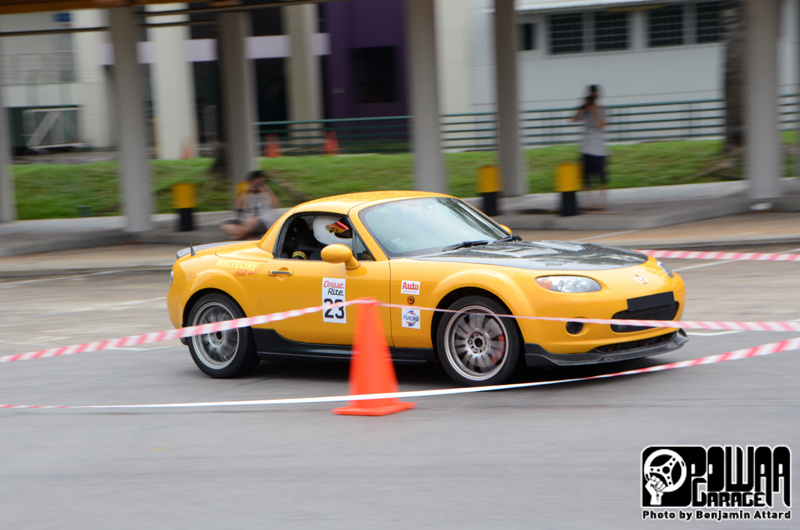 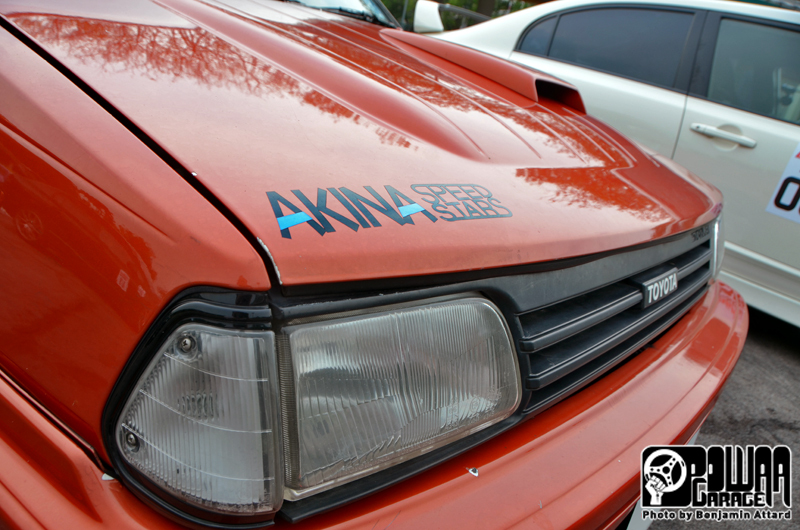 With time running short, the organisers had to skip the time attack stage and use the times of runs 9 and 12 for the competition. 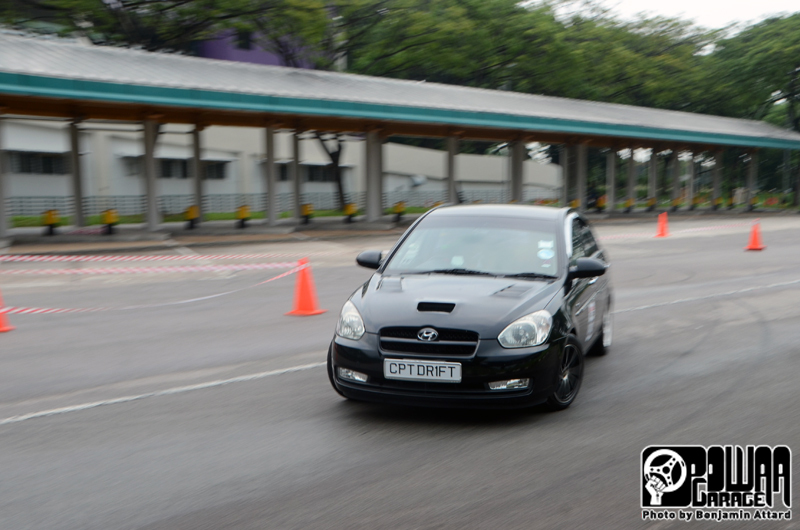 The winners were split in 2 categories based on engine displacements: under 2.0L and above 2.0L. 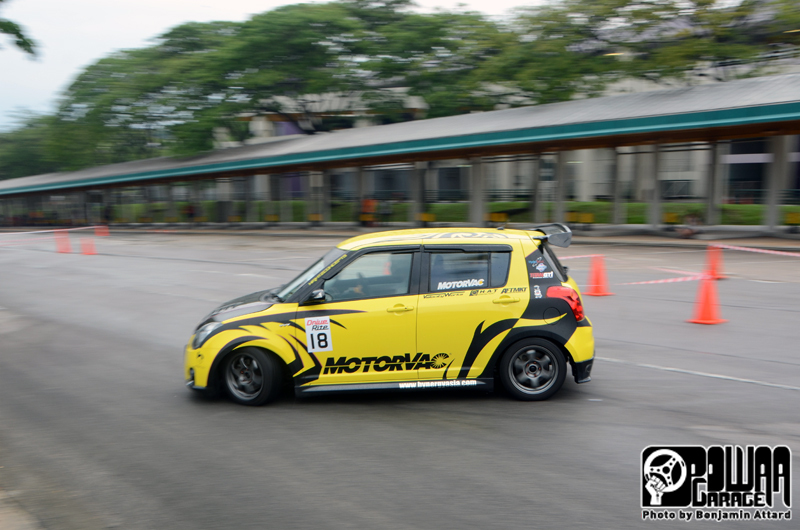 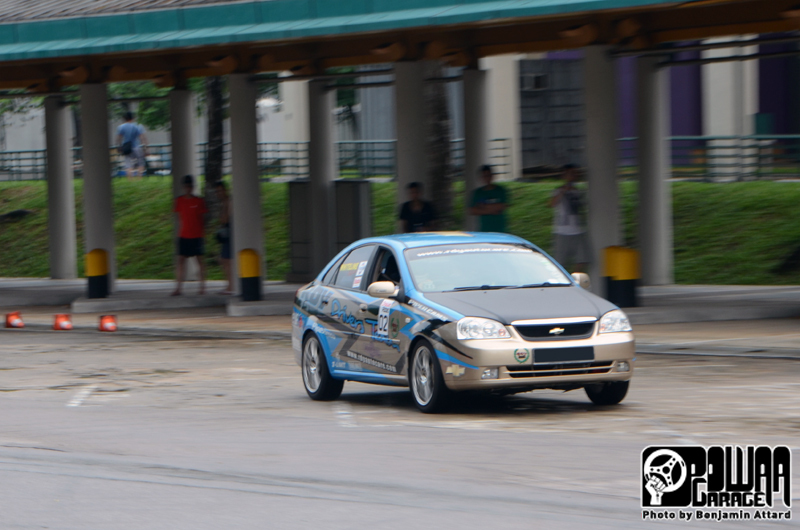 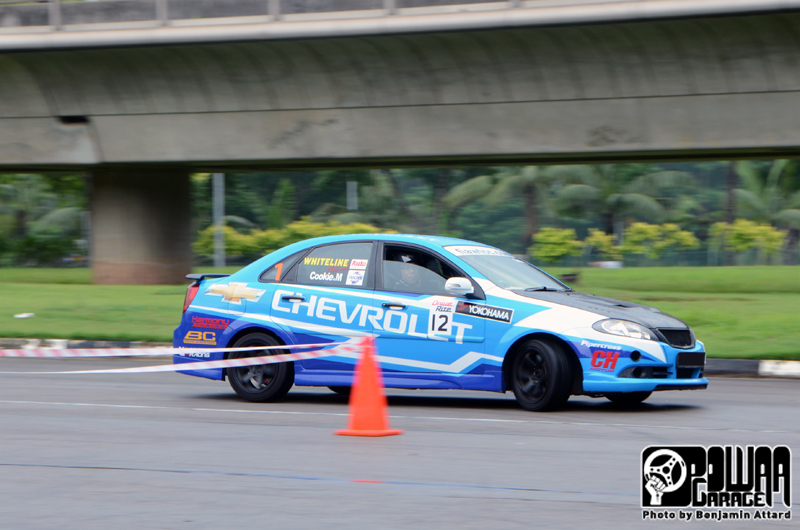 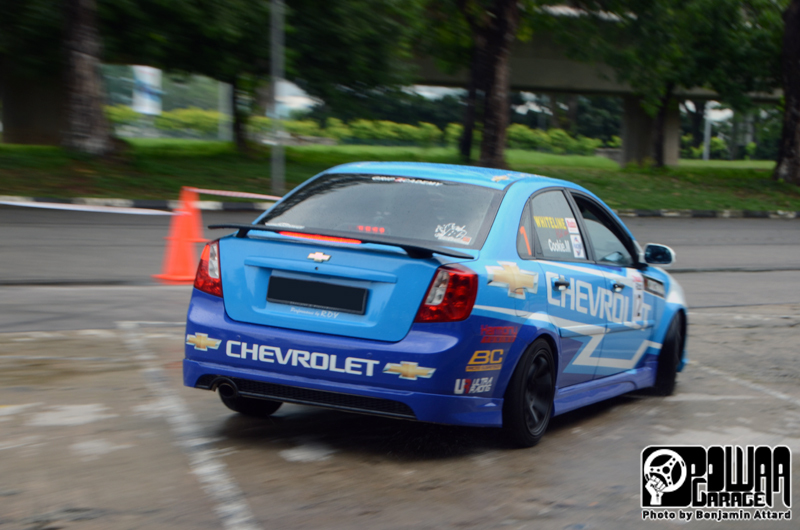 Mr. Wee Chong Nam led the first category with his Chevy Optra. 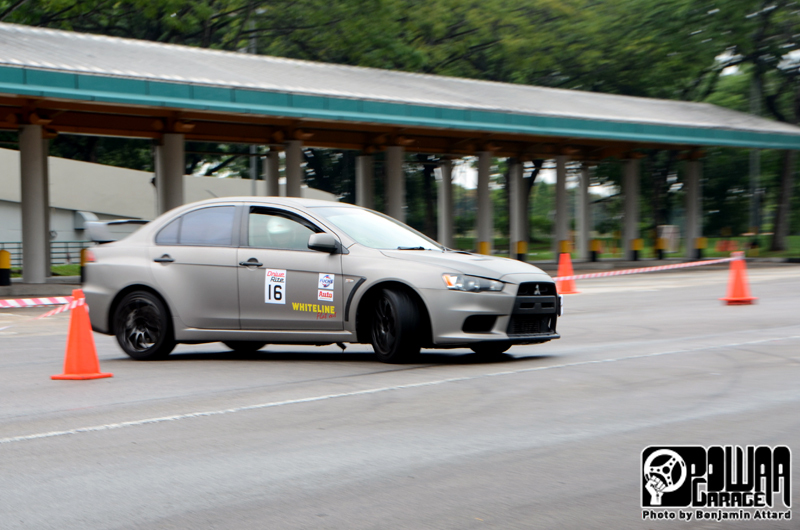 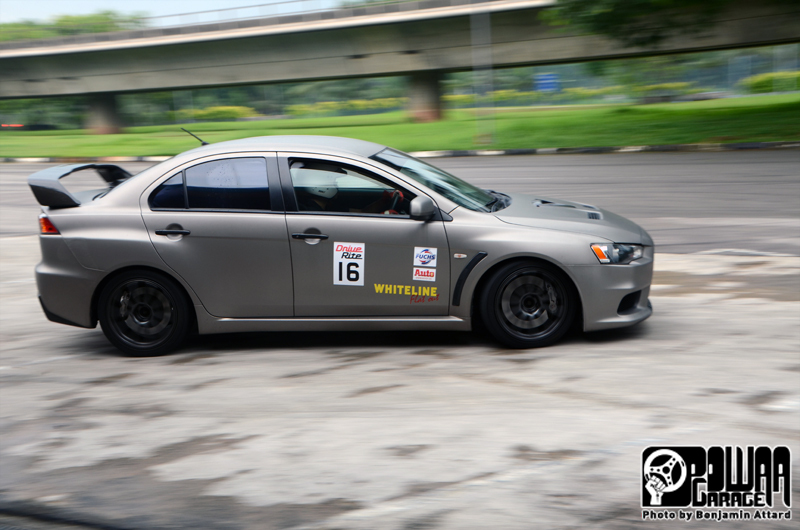 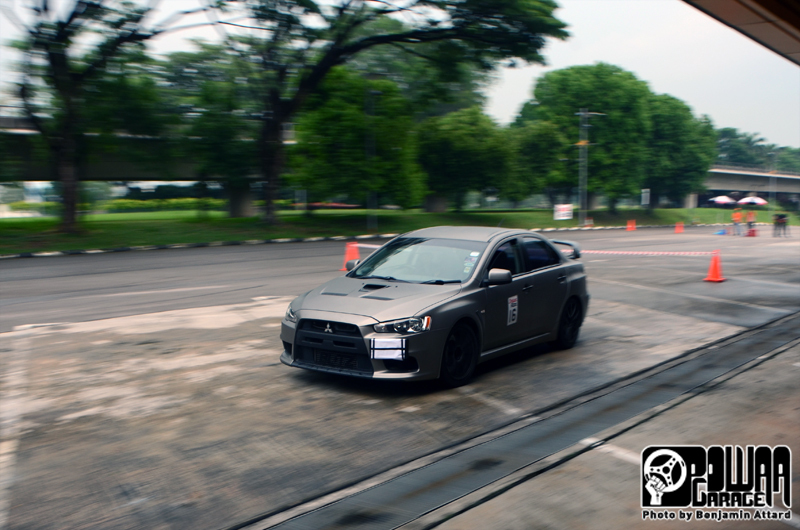 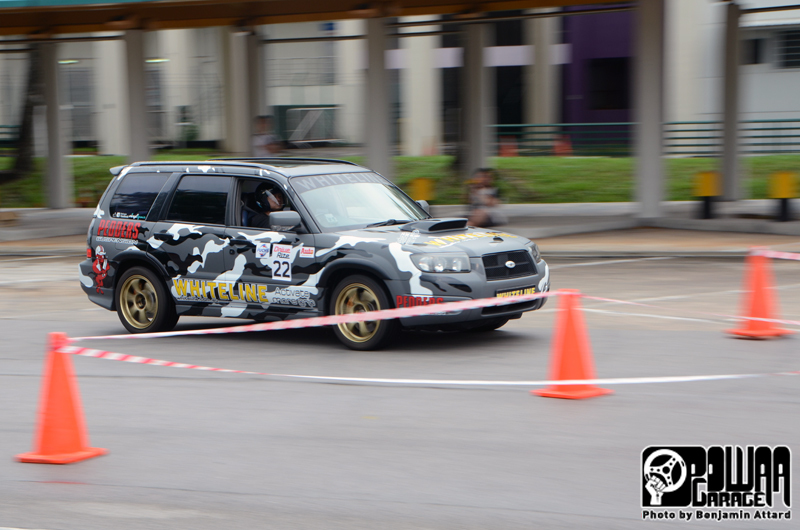 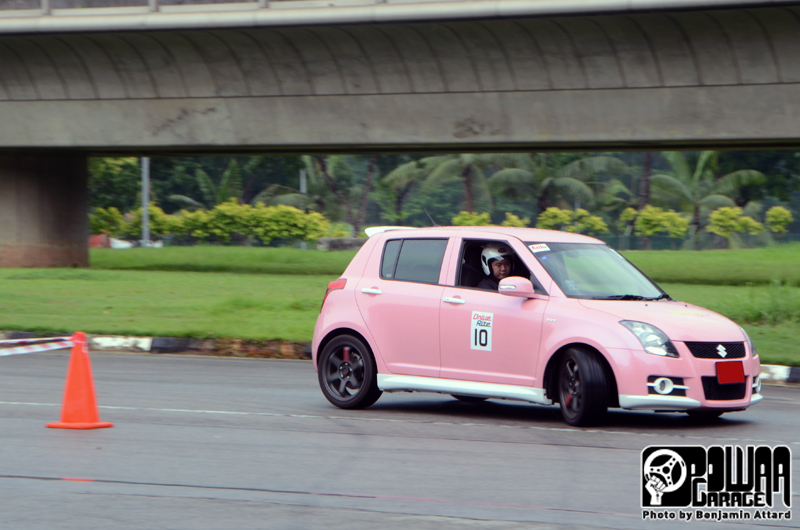 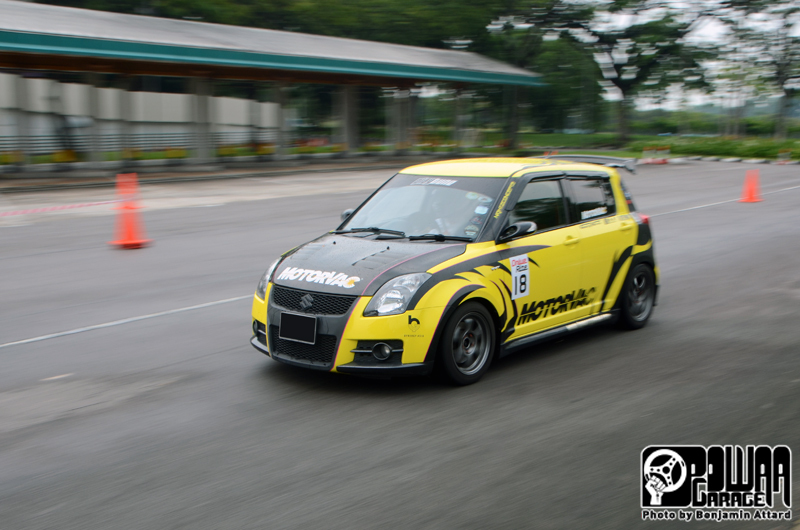 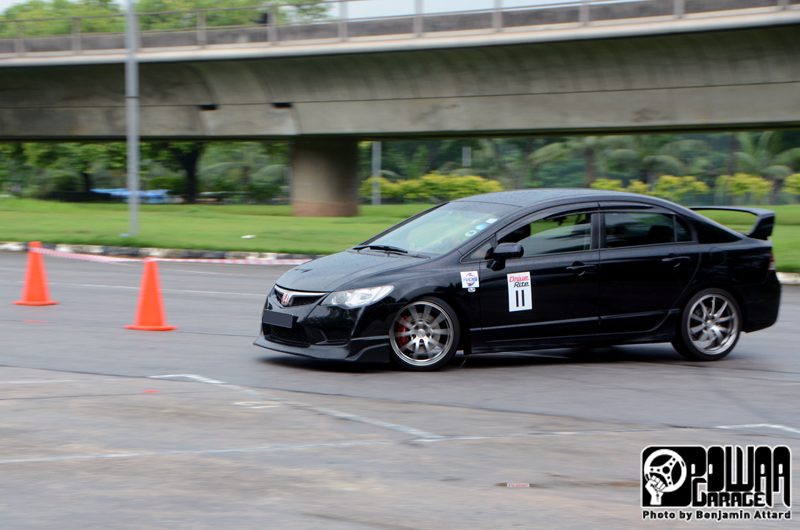 Mr. Terence Soh dominated the second category at the wheel of his Evo X. 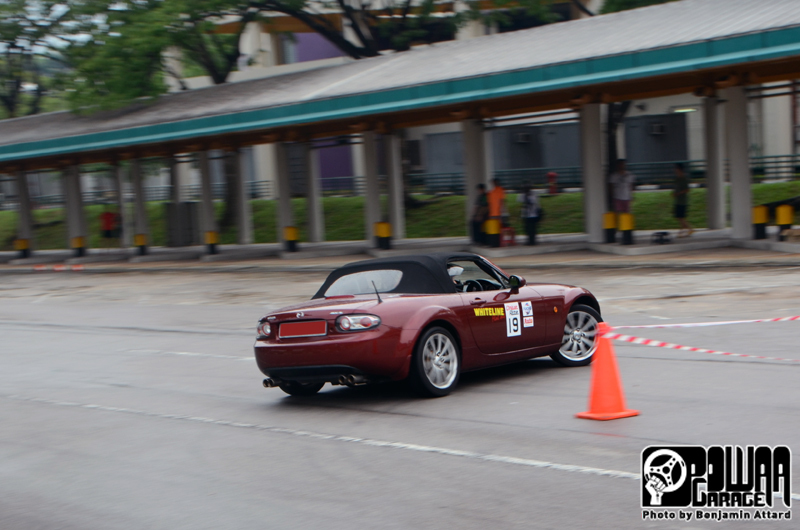 One additional driver, Mr. Vincent Tan, was also rewarded for being the "most flamboyant driver" of the day thanks to some smooth yet aggressive sideways action around the tracks, at the wheel of his Mx-5. 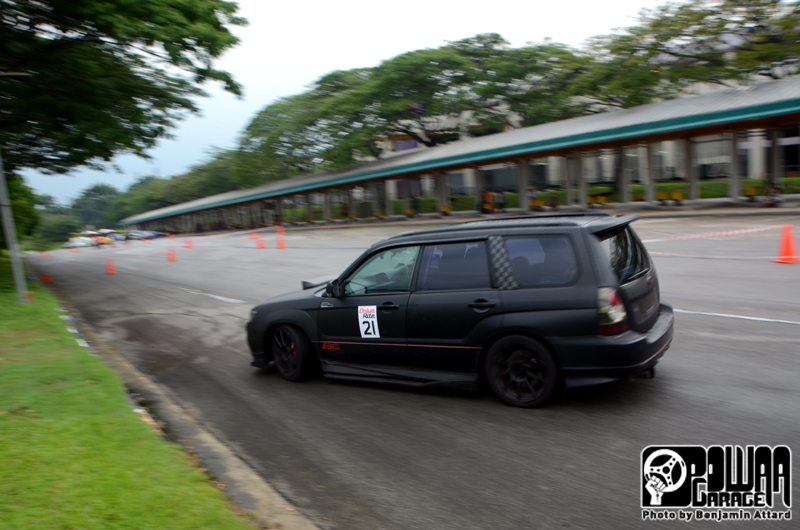 Motorsports are definitely not dead in Singapore, and while the Kranji Turf Club coach bay is going to be transformed into a permanent go-kart track, DriveRite is already looking at other grounds to organise the next rounds of the Autocross + Auto-X day.